Lucille Ann "LuAnn" Reed, 59, of 128 E. Fifth Street, Emporium, PA died at UPMC-Presbyterian, Pittsburgh, PA on Friday (November 30, 2018). She was born July 16, 1959 in St. Marys, PA a daughter of the late L. Maxwell and Sharon Ramarge Narby. On May 17, 1980 in St. Mark Catholic Church she married Jeffrey E. Reed, who survives. LuAnn was a member of the Emporium Borough Council since 2002 where she served as President of the Council since January 2016. 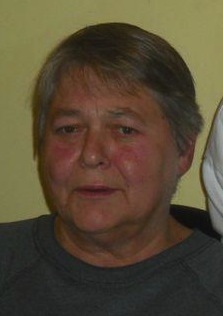 She was a current member of the Emporium Volunteer Fire Department and the Fire Police for over 20 years. She was a past member of the Relief Association, and a past Emporium Volunteered Fire Department Officer. She was employed for over 40 years at Northwest Savings Bank most recently in the position of Financial Consultant. She served as a board member of the Cameron County Extension. and a board member of the Conservation District, a past president of Cameron County School District Alumni Association and was a salutatorian of the Class of 1977. She was a recipient of the Distinguished Service Award from the Pennsylvania State Association of Boroughs in Hershey PA at the Annual Conference, a past member of the American Legion Ladies Auxiliary, and a member of St. Marks Catholic Church where she had served on Parish Council and Parish Festival Committee, participated in the Financial Accountability of the Parish, Completed individual financial activities for many members of the county as a volunteer service and a member of the Bucktail Watershed Association and the Cameron County Gun Owners. Visitation with Video Tribute will be at the Barnett Funeral Home on Wednesday from 4-7 PM. LuAnn was a friend, a classmate and a wonderful person to all that knew her in Cameron County and beyond. She is gone way too soon and will be missed so much, by so many. died at Penn Highlands Elk, St. Marys, PA Monday morning (November 26, 2018). She was born January 6, 1931 in Ridgway, PA a daughter of the late John and Anne Gallagher Quigley. Survived by a daughter, Brigid Pohl, Shepherdstown, WV; a son, John M. Pohl, Sterling, VA; seven grandchildren, Matthew Heitzenrater, Shannon Pieczynski, Timothy Irwin, Megan Irwin, Noah, Joshua & Ethan Pohl, three great grandchildren,Brenna, Kaylie, Jacob, Fiona and Reece. Visitation will be at the Barnett Funeral Home, 207 E. 4th St., Emporium, PA on Friday from 4-7 PM. Mass of Christian Burial will be Celebrated at the St. Mark Catholic Church, 235 East Fourth Street, Emporium, PA on Saturday, November 1, 2018 at 10:00 AM with Rev. Paul S. Siebert, Pastor as Celebrant. She was born September 16, 1938 in Reynoldsville, PA a daughter of the late Edward and Blanche Baun Huntington. On December 22, 1962 she married the late George E. Horning who died Jan. 15, 1978. Margaret was especially fond of animals and enjoyed volunteering at the local SPCA. She is survived by two daughters, Vickie Doud and her late husband James, Emporium and Lisa (Clifton) Collins, Emporium; one grandson, David Matthew Horning; three brothers, Bill (Jane) Huntington, Big Run, PA; Henry (Carol) Schwab, Reynoldsville; Harry Schwab, Reynoldsville; two sisters, Joyce (Larry) Miller, Brookville and Mary Lou McAulay, Emporium. In addition to her parents and husband she was preceded in death by her son-in-law James Doud; a sister, Elsie M. Heagy and three brothers, Ron and George Huntington and Charles in infancy. At her request there will be No Service or Visitation. Peter J. Fragale, 58, of 80 Red Pine Drive, Emporium, PA passed away at his residence, Emporium, PA on Wednesday, October 31, 2018 evening surrounded by his family. He was born January 27, 1960 in St. Marys, PA a son of the late Michael V. and Jennie Costanzo Fragale. On May 31, 1997 in St. Mark Catholic Church he married Nancy Brown, who survives. Pete was a lifelong resident of Emporium. He was a graduate of Cameron County High School class of 1977 and received a Bachelor of Science from the University of Pittsburgh. His career in the IT field include working for Adelphia Communications and Level 3 in Coudersport, private consulting work for the United States Navy and most recently was in charge of the IT Network at Quala-Die in St. Marys. Pete was a member of St. Mark Church in Emporium, was a Fourth Degree member of the Knights of Columbus and an award winning local wine maker. He was a member of the Citizens and Northern Emporium Advisory Board and a founding member of the Christmas Benefit Dance Committee. In addition to his wife Nancy he is survived by two daughters, Bobbi Fragale and Sophia Fragale, both of Emporium; two sisters, Annette Campbell and Mary Lou Fragale, two brothers, Michael (Kathryn) Fragale and Vincent (Molly) Fragale, all of Emporium; several nieces and nephews. Visitation with Video Tribute will be at the Barnett Funeral Home, 207 E. 4th St., Emporium on Friday from 4-7 PM. Mass of Christian Burial will be Celebrated at St. Mark Catholic Church, 235 East Fourth Street, Emporium, PA on Saturday (November 3, 2018) at 10:00 AM with Rev. Paul S. Siebert, Pastor, as Celebrant. George M. Yahnite of Guy and Mary Felt Manor passed away Thursday morning (Nov. 8, 2018) at Penn Highlands Elk. He was born in St. Marys, PA on July 8, 1943 the son of the late Margaret Donlin Palamarchuck and George B. Yahnite. He is survived by and will be missed by brother, Jim Yahnite (Peg) of Canisteo, NY, a sister Mary M. Kolock (Bob) of Fort Mill, SC., nephews and nieces, Matt Yahnite, Bridget Y. Huszar, Kasi Y. Staffen, Christina K. Gratrix, Steven Kolock, several grand nieces and nephews, and many close friends and co-workers. After graduating from CCHS in 1962, he enlisted in the Navy and served for four years aboard the USS Albany. Following his discharge he attended Penn State DuBois and eventually became employed with GE in Erie. He returned to Emporium following a very serious car accident and began his decades long position as chief hoagie sauce maker and George of all trades at Luigi's. A very humble, optimistic, caring, and sharing person, he enjoyed year round fishing in the local streams, visiting with friends and staying close to home. He was a member of St. Mark Catholic Church, the VFW, Legion, and Moose clubs. Visitation will be at the Barnett Funeral Home, 207 E. 4th St., Emporium, PA on Tuesday from 10:30-11:30 AM followed by Mass of Christian Burial at 12:00 Noon to be Celebrated at the St. Mark Catholic Church, 235 East Fourth Street, Emporium, PA with Rev. Paul S. Siebert, Pastor, as Celebrant. Burial will be in the St. Mark Catholic Cemetery, Emporium, PA where a Military Service will be accorded by the Cameron County Memorial Detail.